Food & Drink-On my detour to Versailles, I jumped out of my comfort zone and tried some escargots. My eyes betrayed me; their bizarre green appearance scared me a bit, but I actually enjoyed them. I even tried them again while in Paris the next day! Also while in France, try out some cheese–even if only in an omelette or on a burger. Croissants are also an absolute must during your time there–much better than Pillsbury crescent rolls. Beverages in France are also somewhat different than in America (and warmer due to the lack of ice). You will see plenty of sparkling water on restaurant tables. While I’m not a fan, it’s worth a try for experience’s sake. I did, however, enjoy their selection of soda better. You may recognize Fanta, but don’t be deceived–it’s not the same as in America. In France, Fanta is similar to a carbonated orange juice. If you’re not into that, try some some limonade which is similar to Sierra Mist. Sights-It’s on canvas, stationary and jewelry–the Eiffel Tower. You may wonder if it’s more hype than it’s actually worth. I would definitely recommend paying to go up the Eiffel Tower, not just look at it from the street. The views are fabulous (plenty photo-ops perfect for Insta! ), and there are some fun shops inside. Montmartre is also a must-see in Paris. It houses the Sacré-Cœur Basilica as well as some nice shops. Even though I didn’t have time to go in, Notre Dame impressed moi. The cathedral is absolutely gorgeous and is perfectly located right by the Seine. There’s even an English bookstore located nearby. Although not as publicized as the Eiffel Tower, you may have heard of “Love Lock” bridge, one with beaucoup de padlocks attached. Although many tourists make this a stop during their time in Paris, a number of locals see them as ugly vandalism according to ABC News. Although it’s a touristy thing to do, I’d recommend it for experience’s sake again. 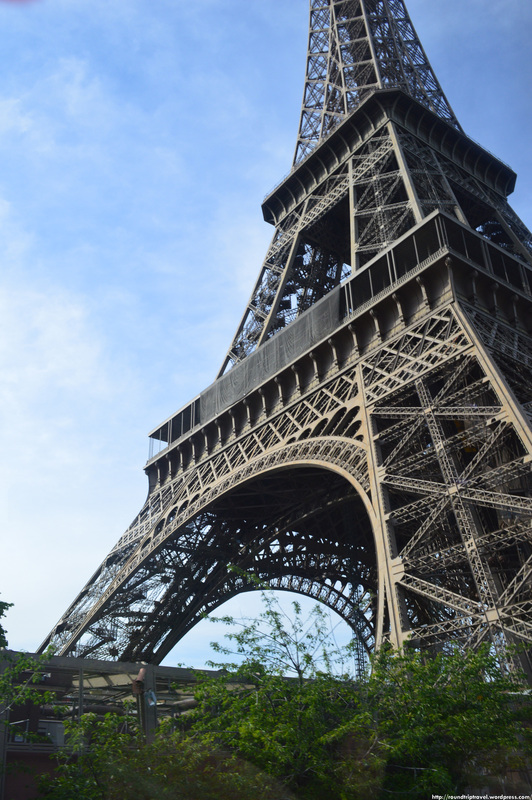 Activities-When I was in Paris, I took a riverboat cruise on the Seine which was definitely a highlight of the trip for me. After long days of touring on my feet, it was nice to see the city for several hours while sitting. This is great way to get a taste of many parts of the city with my eyes, not my ears. While there is great importance to listening to a guide (so you actually know what you’re seeing), your eyes are also an important resource throughout your trip. They will be especially important if you want to see iconic pieces of art such as the Mona Lisa by Leonardo da Vinci or the Venus di Milo by Alexandros of Antioch. Or if you like Coldplay, check out the original artwork (Liberty Leading the People by Eugène Delacroix) that this band played off of on their cover art for Viva la Vida. 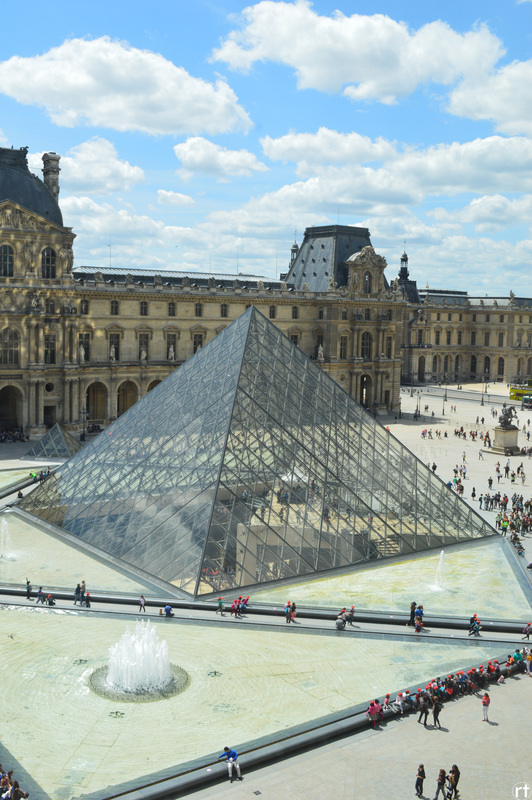 Head over to the Louvre to see these pieces as well as many others you’ve probably seen in your history textbooks before. 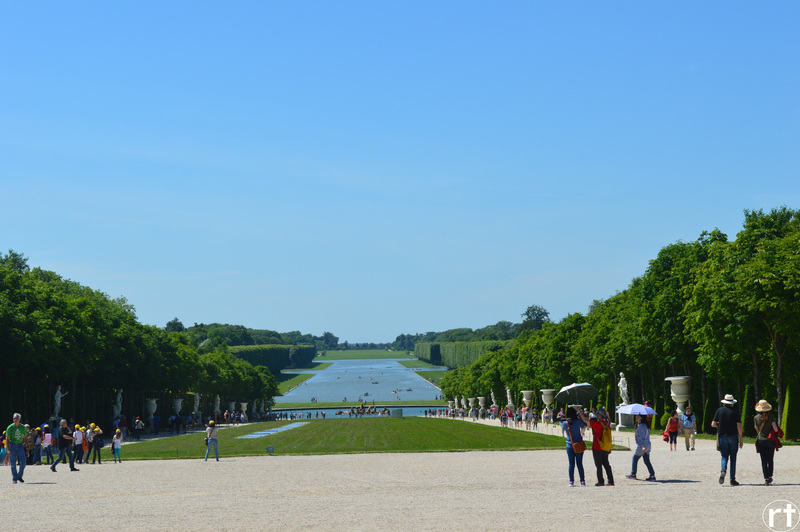 I’d also recommend a detour to Versailles even though it’s several miles away from Paris. A number of friends in my tour group said riding bikes through the gardens of Versailles was a highlight of the trip. Shopping-Well, of course, you have to go shopping when you’re in Paris! You may be spending a fortune on airfare, lodging, etc. But it’s a great idea to pick up some things to remember your fabulous time in the City of Lights. Consider strolling the Avenue des Champs-Élysées. I will warn you the prices are terrifiant, as the French say; finding a reasonable price is a challenge. Even if you don’t buy anything, it’s fun to walk the streets and look at the nearby Arc de Triomphe. If you are into more reasonably priced things (as I am), head over to the Latin Quarter. I fell in love with a little boutique called Anoki Paris. I bought a bracelet for myself for €6 which was much kinder to my student budget than Louis Vuitton. The next day I shopped around Montmartre and visited a different location of Anoki, and I bought a leather cross body purse for €34. 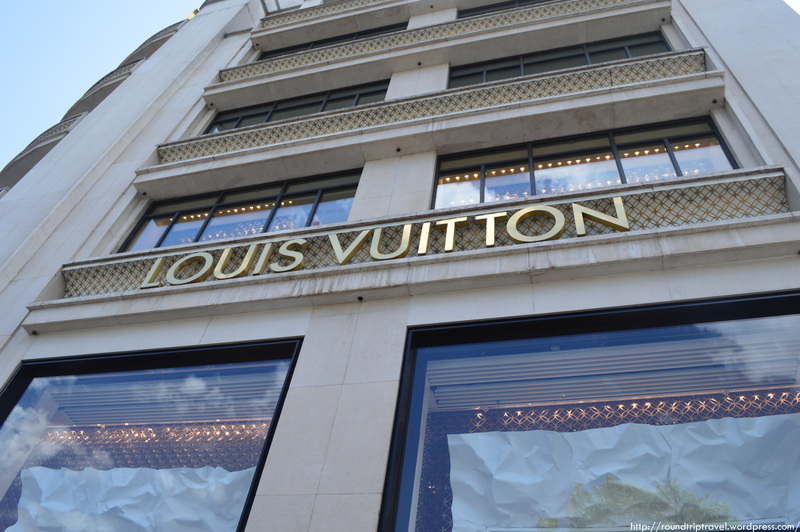 (Yes, two times in two days ) Be sure that you don’t come home with just J’aime Paris T-shirts, and read this post for some tips on shopping while traveling. No matter what you eat, see, or buy, take time to experience authentic Paris even if it’s just sitting in a café for awhile. When in Paris, do as the Parisians.